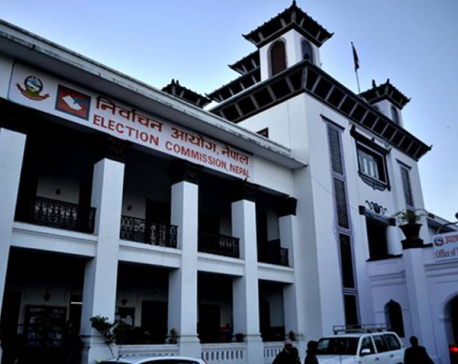 KATHMANDU, April 13: An audit report prepared by the Office of the Auditor General (OAG) shows that the Election Commission (EC) spent millions of rupees from foreign donors without any audit and details of election logistics gifted by neighboring countries were not taken into account in its report submitted to the OAG after holding three sets of elections last year. The report states that election officials spent huge amounts of money provided by development partners and neighboring countries without any audit and abused their authority in providing additional incentives to election commissioners and staff. United Nations Development Program, USAID and International Idea Nepal had provided millions in financial assistance for the elections. But the election body, which received billions of rupees from the government as well for holding the elections , did not provide an audit report to the OAG. The OAG, the authority responsible for auditing the expenditures of public offices, has pointed at possible misuse of financial assistance by the commissioners. According to the report, the election body received Rs. 260.90 million from UNDP, Rs 20.64 million from the United States Agency for International Development and Rs 290.95 million from International IDEA Nepal as technical assistance. But the election body neither submitted the financial details nor audited the assistance, according to the OAG report. Contrary to the practice of furnishing the details of logistics provided from neighboring countries to the Financial Controller General's Office and auditing such assistance, the EC has not mentioned anything about financial assistance from the neighboring countries, namely India and China. 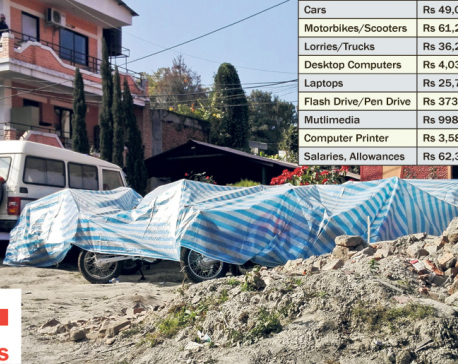 According to details collected by the OAG from the EC's store department, India had provided 86 vehicles worth Rs 180.61 million and 11 types of election materials worth Rs 130.46 million were received from China. "Details of the logistics were not submitted to the Financial Comptroller General's Office," states the report. Asked by Republica on the phone why the EC did not provide the audit report to the concerned bodies, Chief Election Commissioner Ayodhee Prasad Yadav refused to comment on the issue. "Actually, we did an excellent job holding a series of elections within a short span of time. Nobody credits us for that. Instead, everyone is criticizing us now," Yadav said, adding, "Currently, I am out of Kathmandu. You can ask with the commissioners if you want details." Another commissioner, Ishwari Prasad Paudyal, said he was not aware of the need for auditing foreign assistance and claimed it was the government's job to do so. EC was widely criticized for misusing state funds in course of holding the elections. It was accused of promoting nepotism while awarding contracts for voter education programs and procuring logistics . The EC spent millions to procure luxury cars for its commissioners even though they were already using at least two cars each. EC members were reluctant to provide details of the election expenditures. The annual report of the OAG has questioned the effectiveness of the voter education campaigns on which billions was spent to reduce invalid votes. It reported that the EC spent Rs. 370.33 million for voter education and other publicity campaigns, and the increased invalid vote was a matter for review. Despite spending hundreds of millions for voter education, the invalid vote percentage at some local units reached up to 22 percent of the total vote . The report has pointed out that the EC disbursed huge amounts as incentives and allowances . Details show that the EC's decision to provide additional allowances, mid-day allowances, communication allowances, meeting allowances and fuel expenditures incurred a cost of Rs. 4.6 million. OAG has suggested the EC fix such perks only after consultations with the government. Going against past practice, the EC decided to provide 121 percent of salary as additional allowance to election officers during the elections. The report states that officials not involved in election work also received the EC-announced perks and allowances. Apart from not keeping records of foreign aid and maintaining financial discipline, the EC has not settle Rs 190.71 million in arrear.